A man who has been in hospital for almost three years, despite needing no medical treatment or care, has been ordered to leave by the High Court. The 72-year-old, known as Mr X, was given 14 days to leave the Finchley Memorial Hospital in north London. What a disgrace, how the hospital thinks it's justified in.... hang on. Did you say that this guy was called X? Hmmmm So he apparently requires no medical attention, refuses to walk and has some how bent the minds of everyone around him so that they allowed him stay there for three years... holy crap! 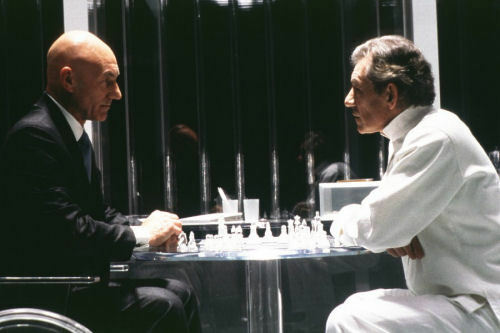 Sounds to us like Professor Charles Francis Xavier has finally resurfaced. If a chap turns up at visiting hours with a huge purple helmet we'll be down there to live blog the resulting battle of wits... but mostly to see if Rogue turns up.